We've been fortunate to land some great announcement press for the new game! "Mother of god. It’s a cross between Blaster Master and Bionic Commando, two of my favorite games of all time. " Take control of the prototype Grapple Buggy piloted by Nova Commander Javeya, and her alien co-pilot Drozo to explore the newly discovered VALD-END 317. The distant planet seems to house massive amounts of Tetravaldisae, known to its harvesters as ‘Vald’. Used to create fuel for faster-than-light travel, Vald is the single most valuable commodity in the known universe. The New Homeworld Armada and the Drozo Empire have formed a strained alliance to confirm these portentous readings sending the Grapple Buggy and its team into action for the first time. Can the Drozo Empire be trusted? Has Javeya’s government thrust her into a compromised situation? Will VALD-END thwart both species schemes? 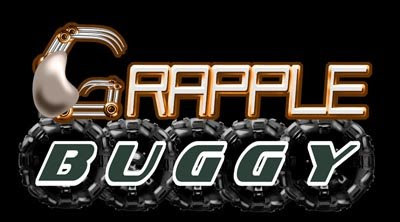 Swing into action with Grapple Buggy! Sumptuous blend of buggy-driving craziness and grapple swinging glee! Upgrade your buggy with new wheels, jumping abilities, and devastating new grapple arms! Fight or befriend—explore VALD-END to encounter both terrifying xenofauna and sentient aliens! 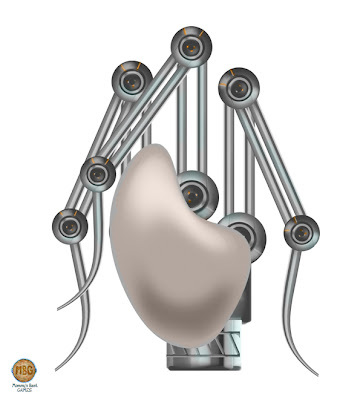 Features dynamic decision branching, and multiple, story-driven endings! And we'll leave you with the image of one of the co-pilots of the buggy itself: Commander Javeya of the New Homeworld Armada. Nose Hair Remover from Beyond the Stars?